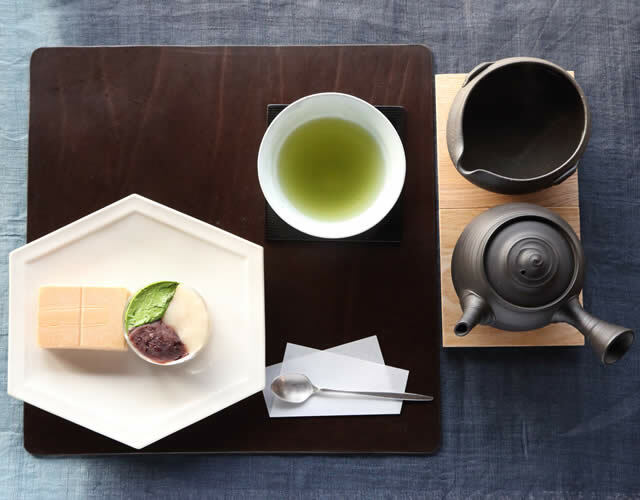 We offer green tea and snacks based on Nijushi Sekki (the solar seasons). If you prefer, add some syrup made from Wasanbon sugar. Choose two of the appetizers of the day. 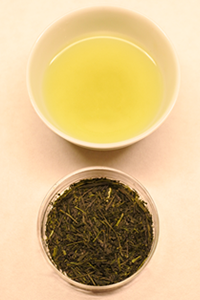 The temperature difference between morning and evening in this cool mountain region at an altitude of 400 m slowly develops the aroma and savory tone of this tea. Made from only the buds of the first tea crop without the use of pesticides or chemical fertilizers, it features the distinct strong aroma, sweetness, savory tones, and astringency of mountain tea. 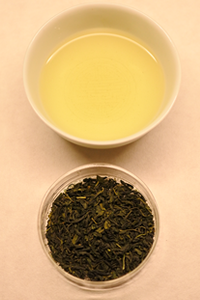 Grown in a warm climate, so the new tea can be tasted in mid-April. Develops a rich flavor by the eighty-eighth night (around May 2). The settlers in this land were samurai who were active in Edo (now Tokyo). With their strong will and passion, these samurai succeeded in reclaiming the tea plantation in the early Meiji period. The plantation is still in use today. 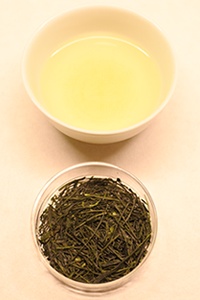 Uji Dosenbo is a mountainous region at an altitude of 500 m. The Yabukita tea variety grown here is delicious, elegant and full of sweet flavor. No pesticides or chemical fertilizers are used, thus accentuating the relaxing tones of this tea. Even after drinking, images of the tea’s landscape of origin linger. 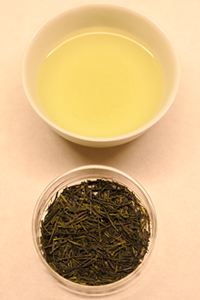 Uji Dosenbo is a mountainous region at an altitude of 500 m. The native strain rooted in the local land is characterized by a distinctive aroma like wild grass. No pesticides or chemical fertilizers are used resulting in tea leaves that present the unaltered, unique qualities of the site of origin. 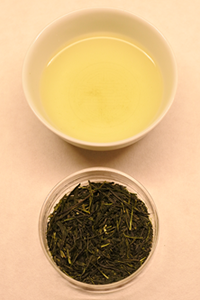 High-grade Gyokuro stem tea from Uji is called Gyokuro Karigane. 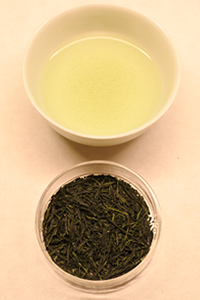 This tea can be enjoyed in a variety of ways depending on the temperature of the water in which it is brewed. 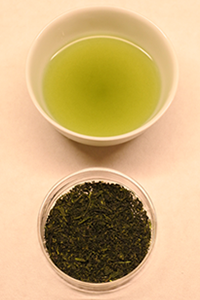 Brewing the tea in tepid water brings out the distinct sweetness of Gyokuro while brewing it in hot water draws out the refreshing green aromas. 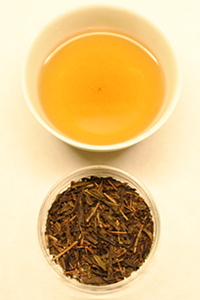 A variety of tea that has a distinct, strong aroma. 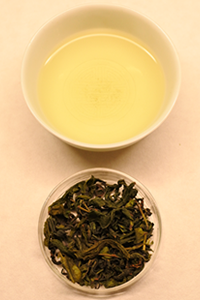 Rounded leaves, tea water color that is a clear gold, and a refreshing flavor are features of this tea. 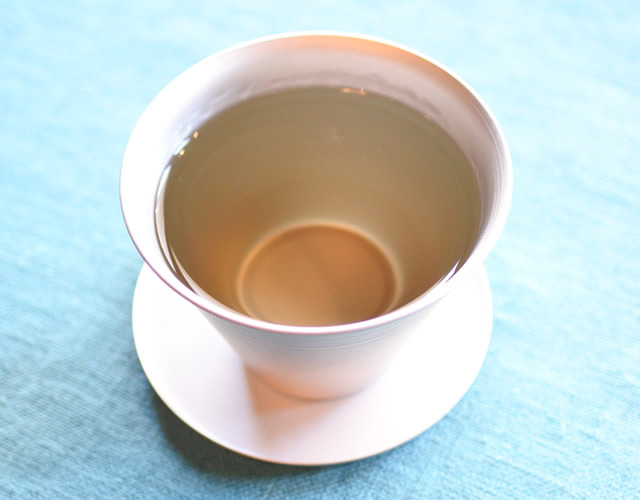 Moderately fermented tea leaves are roasted in an iron pot to elicit a distinctive flower-like aroma. 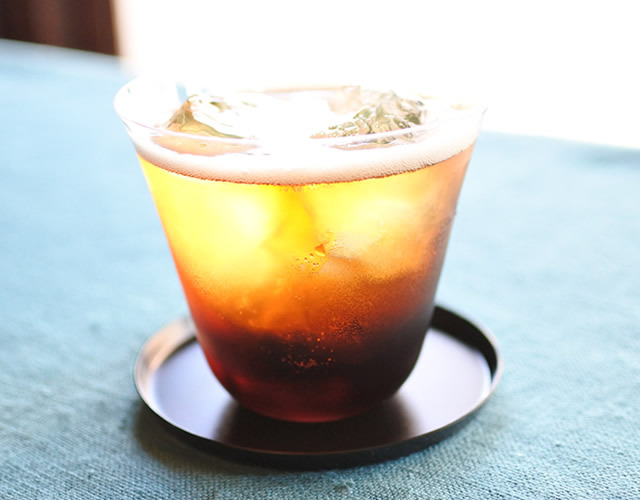 The aroma and flavor of tea leaves grown in the tea plantation in Gokase-cho, Miyazaki Prefecture, without use of pesticides or chemical fertilizers, exude a sense of vitality. 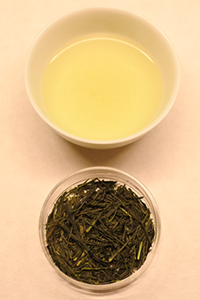 Coarse tea grown on the 500 meter-high Uji Dosenbo tea plantation is roasted to bring out a distinctive flavor. No use of pesticides or chemical fertilizers means that the tea leaves accentuate the unaltered, unique qualities of the site of origin. 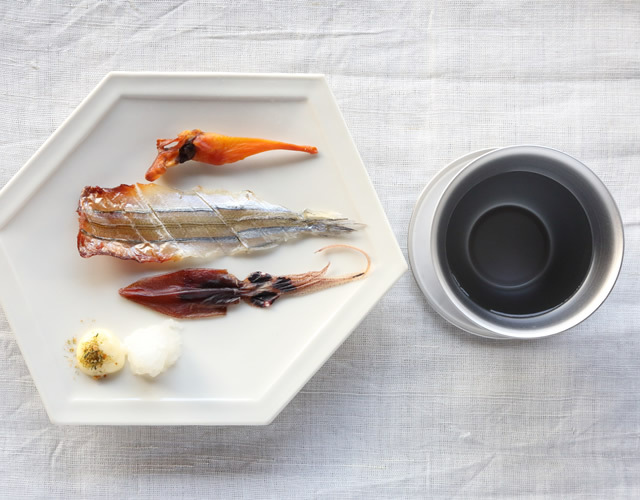 Asatsuyu is from Uji but is now mostly grown in Kyushu. 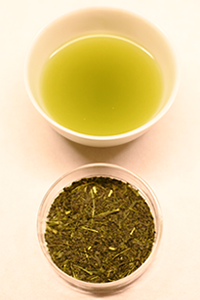 This tea that was grown in Ureshino-cho, Saga Prefecture, combines a fresh and green aroma with a sweet and savory flavor. 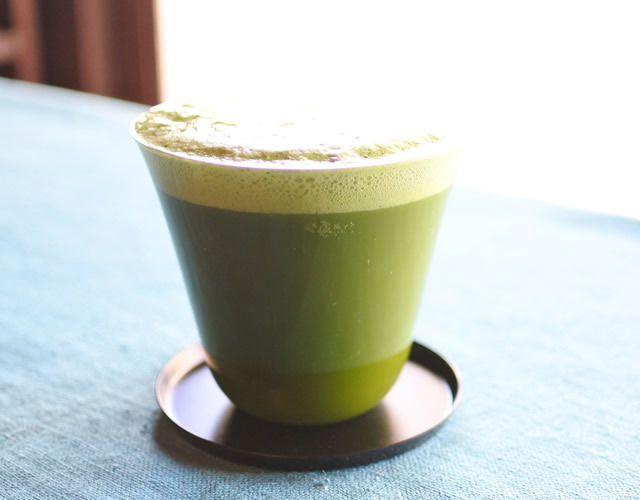 You can taste the local flavor and feel the power of the area when you pour on the hot water and take a sip. Beautifully balances a fresh green aroma of new leaves, a full-bodied richness, and sweet and savory tones. This is a new variety that was created in 2000. 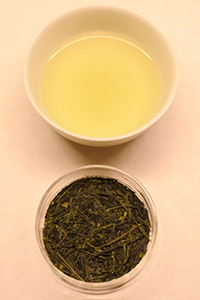 The color and flavor of the tea leaves and the tea water are both outstanding. 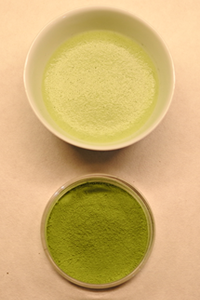 Most Japanese green teas are of the Yabukita variety, but in recent years farmers have been striving to cultivate new varieties. A new and improved strain. The tea plantations use no pesticides or chemical fertilizers and allow the tea to age, bringing out an aroma that is like cherry blossoms. 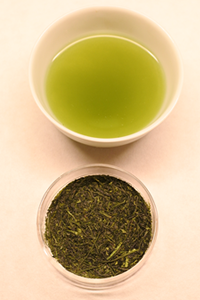 Refreshing sweetness and clear tea water are characteristics of this tea. In the mountainous area along the Oi River, which pours out of the heart of the Southern Alps, the thick river fog creates a smooth tea. 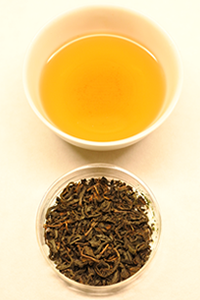 No pesticides or chemical fertilizers are used, resulting in a tea with a clear, brisk flavor. 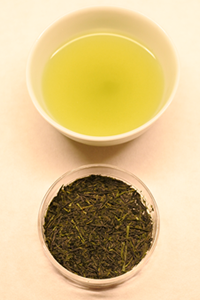 This is the traditional type of light-steamed sencha tea. Tea that has a unique and secret preparation process. 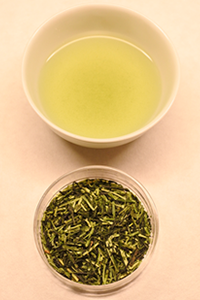 Reveals an important role in the roots of tea that was originally brought over to Japan from China. 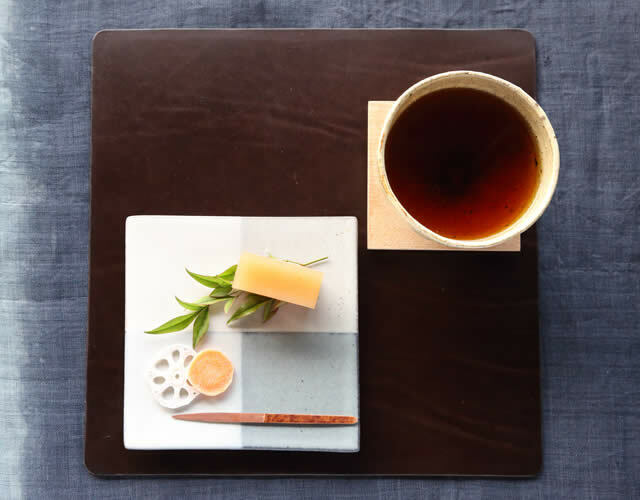 Still today, this tea is made with an ancient method by only a small number of farmers in Otoyo, a town in the mountains of Kochi Prefecture. 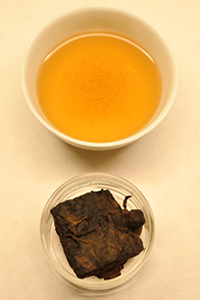 The name is derived from the appearance of the fermented tea that resembles pieces of the game ‘go’ when it is dried stiff. The ultimate in strong, savory flavor and sweetness. The water used for brewing is left to cool and only a small amount is drunk. Exudes a unique aroma like green laver. 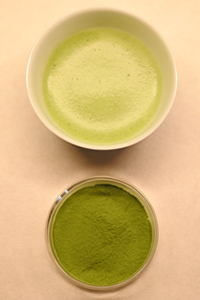 The distinctive fresh green aroma of Uji matcha stands out. Has an excellent, refreshing finish. 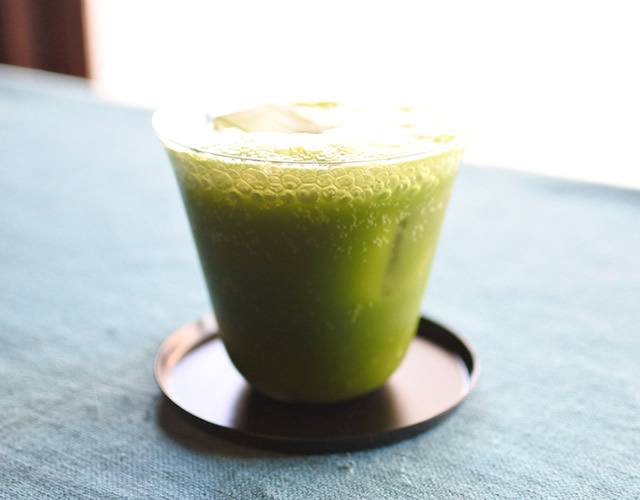 A mellow flavor featuring the distinctive elegance of Uji matcha. Creates an excellent, fine-textured foam. No astringency.